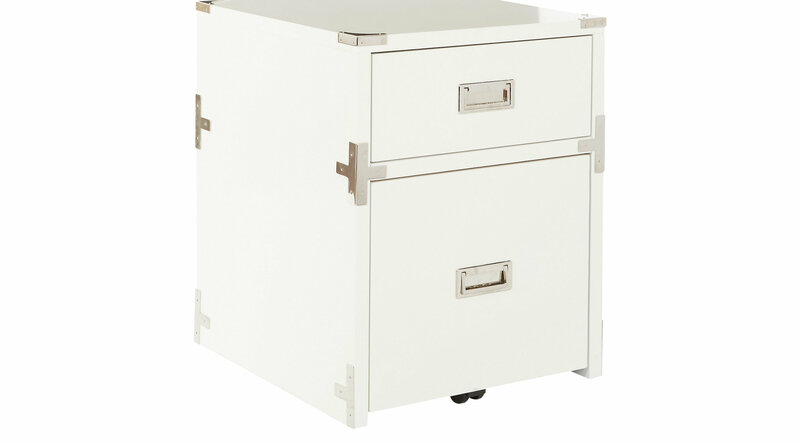 Keep track of all of your important documents with this campaign style Wynkoop file cabinet. Enjoy the timeless grace of metal hardware accents and classic detailing. A single file drawer provides room for letter or legal size files, while the extra storage drawer offers space for office supplies. Stay organized with the Wynkoop 2 drawer file cabinet.